Protei 010.9 Mini cargo was our second attempt to build a machine that is truly modular. We tested in Stanley Beach, Hong Kong. The wind was moderate and half way through the test it started raining. A dog attacked the boat with a good bite, he loved it so much! After about 45 minutes of sailing the motors started to act funny. 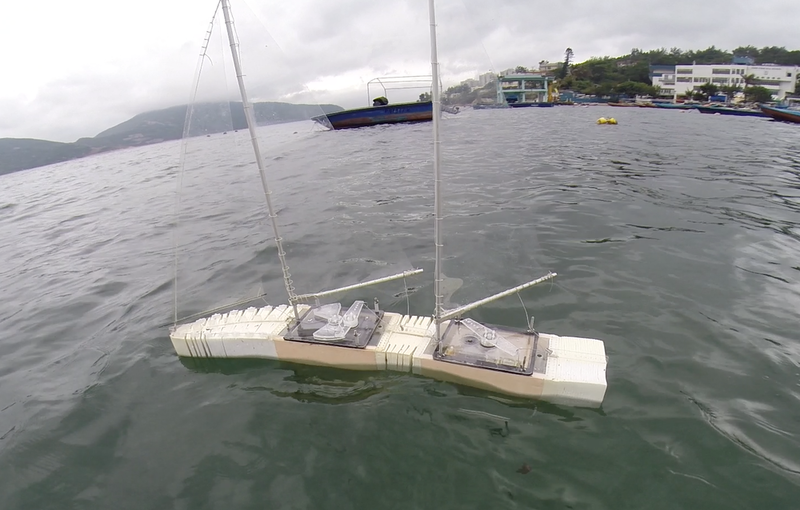 The overall test was successful even if the manoeuvrability of the boat was limited while using only the bow of the boat.